Get Your Game Faces On! GUI Is Back With Episode 5: THE SCRUM COMMANDOS! We are back with our latest episode of GUI: Gaming Under the Influence! This month we’re playing the cult classic CAPTAIN COMMANDO Arcade Game with returning players JASMINE and LUCAS, and continue the fun of surprise LANDMINE shots with a special brew of Hard Alcohol (which I fiendishly devised). Watch as the gang makes their way through the classic beat-em-up to save the world from SCUMOCIDE’s band of weird villains on an epic road trip across a dystopian future, full of terrible shots (referred to as PeePee shots by Lucas), pop-culture references, a ridiculous amount of spin attacks, an insane speed level, and a ludicrous verbal punishment at the end that left the guys dying of laugher. 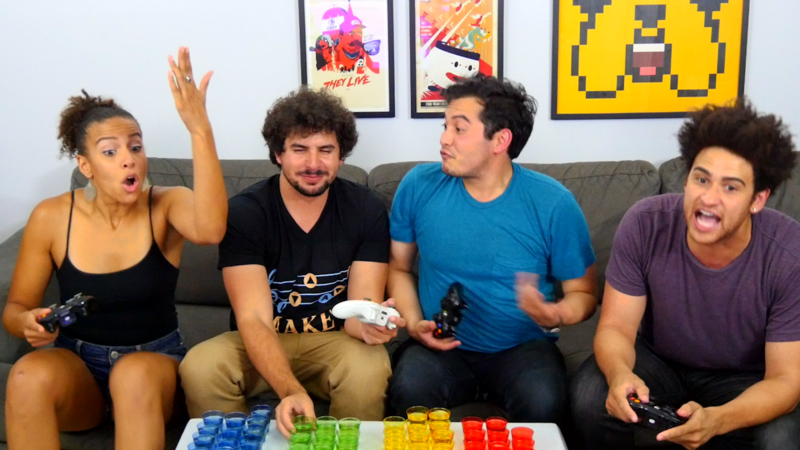 Check out all the insanity this week on GUI: Gaming Under the Influence! Can’t Wait To Watch ‘The Avengers?’ Then Check Out “The Weakest Avenger” On The Latest Episode of GUI! Can’t wait till ‘Avengers: Infinity War’ premieres on Friday? Then head over to the Addicted Media YouTube page and re-watch the latest episode of GUI again, where the guys play the arcade game based on “The Weakest AVENGER of ALL TIME!” (in the words of Jordan). Check out the drunken debauchery as Joel, Jordan, Bre and Chasen make their way through the classic ‘Spider-Man’ Arcade game and get your Marvel fix before the movie hits theaters! D’Oh-n’t Miss Out! Watch GUI Episode 3 Where We Play The SIMPSONS Arcade Game! After the long Holiday GUI Episode 3 is here! In the 3rd episode of ‘GUI: Gaming Under the Influence’ we’re playing The SIMPSONS Arcade Game’ with special guest players, JASMINE and TONY! 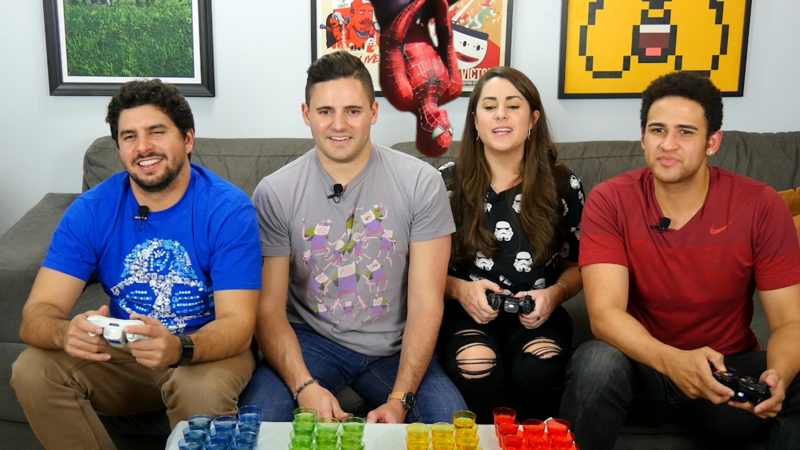 Watch as they attempt to stay sober through 8 levels, dozens of shots of beers (1 shot for every time they die in the game), an insanely long final boss battle, and their final review! Who will survive this week? Click to find out! Episode 2 has finally arrived! In the 2nd episode of ‘GUI: Gaming Under the Influence’ we’re playing the classic arcade game, ‘Teenage Mutant Ninja Turtles: Turtles in Time’ with special guest, LUCAS LONG! 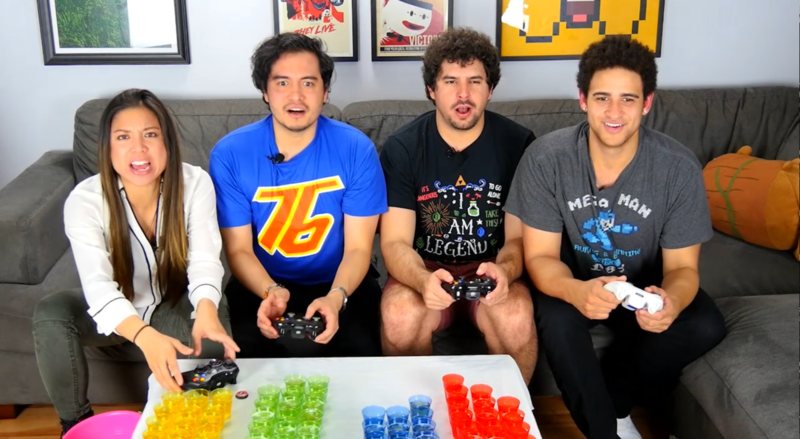 Check it out as they power their way through dozens of shots of beers (1 shot for every time they die in the game) plus a handful of “mystery shots,” review the old school arcade-play, and see who manages to survive while Gaming Under The Influence! GUI Premieres Today! If You Like Drinking & Classic Arcade Games, Check It Out!!! It’s finally here! The premiere of ‘GUI: Gaming Under the Influence’ ! 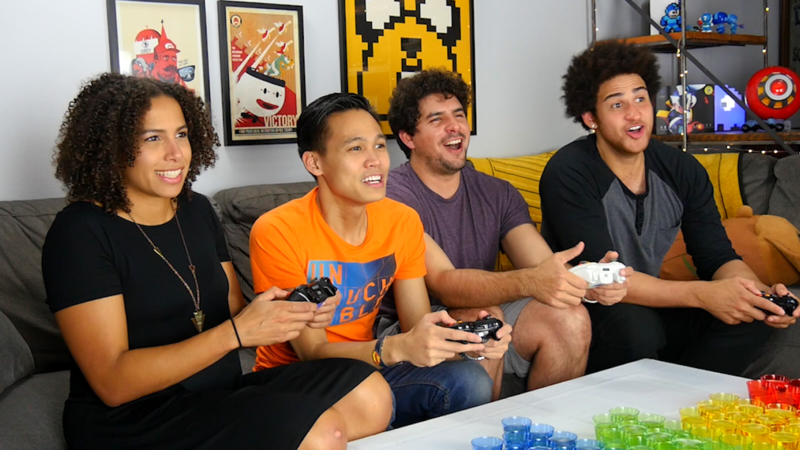 This week we have Joel, Chasen, Tessa and Carlo playing the classic ‘X-Men Arcade Game’ in the pilot episode of the series. 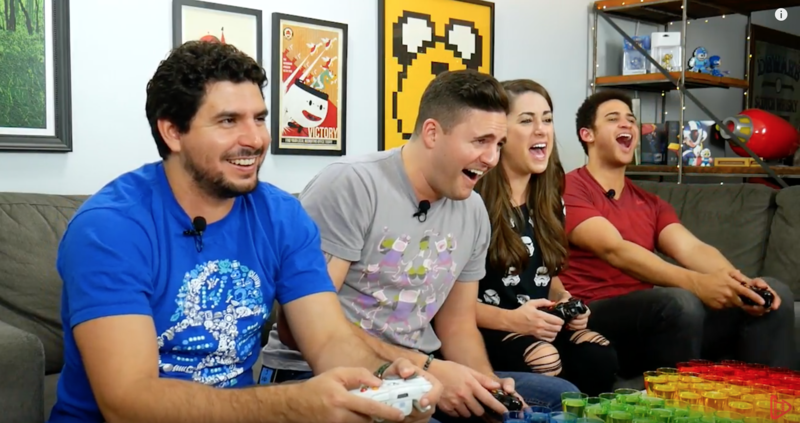 Check it out as they power their way through dozens of shots of beers (1 shot for every time they die in the game), review the old school arcade-play, and see who manages to survive while Gaming Under The Influence! Also, make sure to LIKE, COMMENT, and SUBSCRIBE to the channel! It really helps! Do You Like Gaming Under the Influence? Check Out the Promo For Our New Show! GUI Premieres on the Addicted Media Channel on YouTube On November 7th!